Pen kits for almost any budget and taste are available today. They are fairly easy to make, can be turned on small, inexpensive lathes, are popular as gifts and sell well at craft fairs. Because they require little wood, even expensive exotics and burrs can be used. Ivory and horn, acrylics, numerous plastics, bone, antler and horn, are also excellent, as are plastics and similar materials. The latter are fairly easy to turn, easily drilled and come in many colours and patterns. Their lack of grain direction and uniform density give the turner lots of freedom, and no finish is needed - other than perfecting the surface with abrasives and/or deluxing compounds. 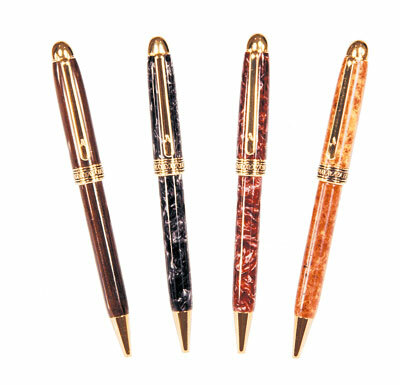 The top selling pens in my studio's Premier Gifts line include cocobolo, desert ironwood, Madagascar rosewood, tulipwood and kingwood. Among the burrs, amboyna burr and mesquite top the list. Other favourites include antler (deer and moose), Decora and crushed velvet, which I'm using here. This medium-hard cast plastic is available in six colours, and comes in small sheets, or pre-cut in 5/8 x 5/8 x 5 1/4in pen blanks. It only costs about $3.50 per blank. The quality and durability of pen kit parts varies from fair to exceptional. If they are gold plated, particular care must be taken in choosing a quality kit. For with some inexpensive 24k gold kits, the gold may wear off quickly. Better-quality kits have thicker gold plating, which may include other alloys like cobalt or nickel, to provide increased wear resistance. These may be sold as 22k extra-heavy gold (EHG), cobalt gold, premium gold, or 10k gold. Even if you don't sell your pens, or give them away, choose the best-quality kits you can afford. Check with other turners in your area, or on the Internet at the newsgroup rec.crafts.woodturning for recommendations. Some of the newer kits feature titanium plating, coloured to look like gold, the advantage being that titanium is much harder than gold and therefore longer lasting. Titanium-plated pens are an excellent choice for pens that will see heavy use. 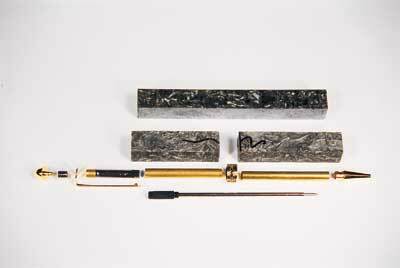 Among the gold-plated pen kits, 22k cobalt gold or EHG are particularly durable. Other plating choices include chrome, which is very durable, and the newer satin-finish pens in nickel and gold. The best tool to use for cutting crushed velvet blanks is a bandsaw. Tablesaws may generate too much heat and melt the blank during cutting. A small handsaw can be used for cross-cutting. If you are cutting the blanks from a large sheet, set up a reliable fence on your bandsaw to ensure accurate cutting. 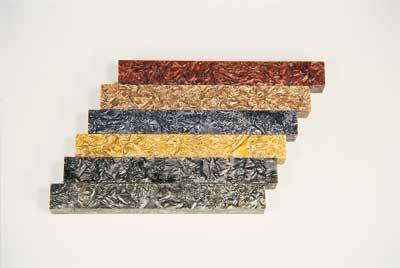 Typically, crushed velvet blanks are cut 135mm (5 1/4in) long, but you can shorten this if you are resawing your own from large sheets. Take the two pen tubes out of your kit (upper and lower) and place them on the blank. You'll see that the two tubes are different lengths: the shorter tube is for the top section of the pen, the longer tube for the lower. Allow enough room for the bandsaw kerf, and mark the blank for cross-cutting. I usually leave 2mm (3/32in) excess at each end of the blank. This will be trimmed once the tubes are glued inside. Crosscut the blank at the marked lines and move to the drill press. As plastics go, crushed velvet is medium hard and drills very easily. But, being a plastic, it will melt if it gets too hot! Choose a pilot pointed drill bit (known in the trade as bullet bits) for best results. These run cooler than brad pointed bits, and usually drill truer holes. If you don't have pilot pointed bits, brad pointed ones can be used, but be very careful of heat build-up during drilling. This pen requires a 7mm (9/32in) diameter straight hole in the top and bottom blanks. 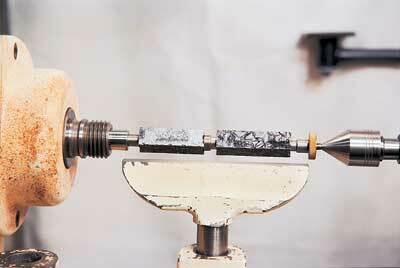 Set your drill press to a speed of 500-700 rpm. 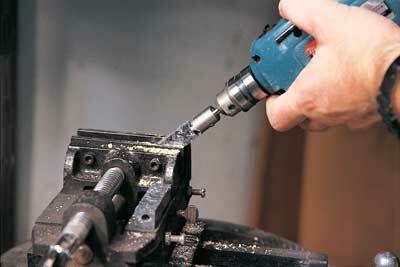 With the blank secured in a drilling jig or cross vice, start drilling. Raise the bit now and then, to clear the flutes. A quick shot of compressed air will help to cool the bit during use. If the plastic sticks to the flutes, stop the drill press and cool the bit with a wet rag or a shot of compressed air. When you have drilled the hole in each half of the blank, you are ready to glue the tubes inside the blanks. Pen tubes can be secured with a variety of adhesives. Thick-bodied cyanoacrylate works very well. Using a thick-bodied CA will give you sufficient time to get the interior coated and the tube inserted before the glue cures. 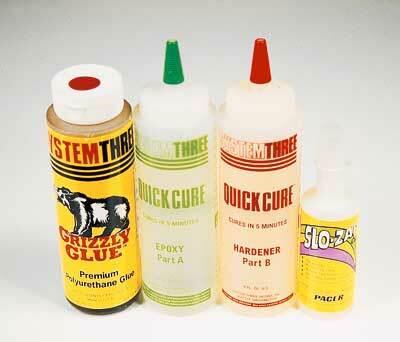 Also consider using polyurethane, and epoxy. Before applying the adhesive, lightly scuff the outside of each pen tube with 240-grit abrasive paper. 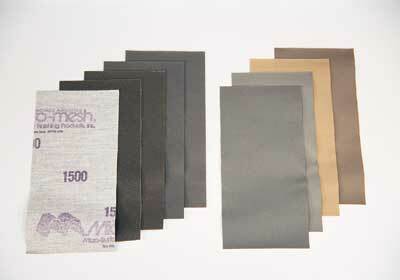 This will remove the light oxidation and the scratches produced help the adhesive bond to the tube. Some turners like to apply adhesive into the drilled hole, others on the tube. If you want to put it in the drilled hole, use a pipe cleaner, or small stick to swab the hole with the adhesive. Make sure the interior is uniformly coated before inserting the tube. If you prefer to apply glue to the tube, insert the latter all the way into the drilled hole. If you are using cyanoacrylate, apply a thin bead of thick CA to the exterior of the tube, in three equidistant lines. Insert the tube in a twisting motion as you pump the tube up and down several times to evenly distribute the adhesive on the inside. It takes time to become proficient with this method, but it is fast and, if done correctly, provides a uniformly-covered tube and hole wall. If using polyurethane, use a small chip or acid brush to apply this to the tube. Insert the latter and spin it a few times to ensure an even coating. 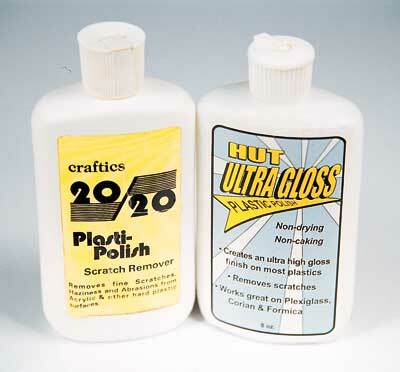 Polyurethane adhesives will foam as they cure, giving an excellent bond. If you live in a very dry climate, you may need to swab the hole with water before inserting the adhesive-covered tube. If you are using epoxy and are gluing more than one pen, use the slower setting formula to allow sufficient time for insertion of the necessary tubes. 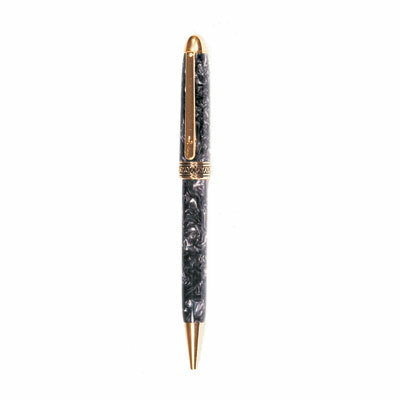 Both the polyurethane and slow-setting epoxy need several hours to cure before you can turn the pen. Once the glued tubes have been inserted into the drilled holes, you need to square the tubes to the blanks. This is best done with a pen mill, which features a combination multi-tooth head and an insertion-clearing rod. Securely clamp the blank in a vice or jig before drilling. Crushed velvet cuts very easily, so use a light touch. When the excess is removed and a uniformly-bright brass tube end is revealed, stop milling. Take care to only remove the minimum necessary to square the tube and the blank. Overmilling may lead to assembly problems from blanks that are too short. Don't use a sanding station to square the tubes when using crushed velvet, as the heat generated can easily melt the plastic and possibly ruin your blank. Once all four ends are milled square and true, you are ready to mount the tubes on the mandrel. Double mandrels allow you to turn both ends of the pen at the same time, a big advantage in a production environment. But they are more prone to damage in use and storage, and their longer length makes them more likely to flex during turning. Take care when bringing up and securing the tailstock, or the mandrel may bow. Double mandrels can produce highly-accurate pens, but they must be properly cared for during use and storage. Single mandrels only allow one-half of the pen to be turned at the same time. 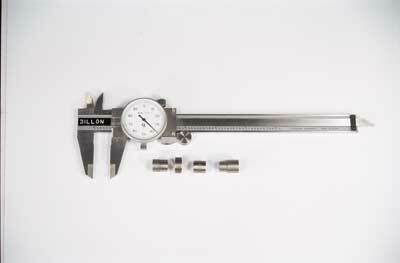 They are much shorter than double mandrels and typically keep their accuracy for a longer period of time. If set-up and turning time is not a worry, consider a single-mandrel system. 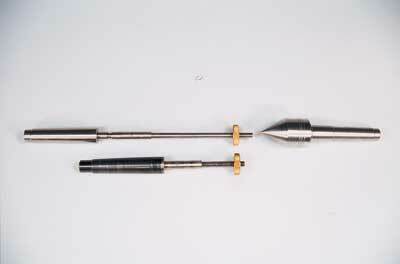 Even with the stiffer rods of a single mandrel, accuracy can suffer from improper storage, or aggressive turning. Always store your mandrels in a protective, cushioned case when not in use. Although I have both single and double mandrel systems in my studio, this project was turned on a one-piece double mandrel that fits into the headstock's Morse taper. Before mounting the mandrel in the headstock, clean the taper of debris. Even tiny amounts of this in the spindle taper can make the mandrel lose accuracy. A tapered brush can be used to clean the taper if you do not have a dedicated Morse taper cleaner, like a Taper Mate. If you notice any stains or extractive spray inside the taper, swab the interior of the spindle with acetone. Once the mandrel is seated in the Morse taper headstock spindle, you are ready to mount the bushings and the blanks for turning. Each pen kit style will have its own bushings for mounting on the mandrel. For this European- style kit, there are three bushings for the double mandrel. The cap bushing goes on the mandrel first. Next, place the top section of the prepared pen blank on the mandrel. The double bushing mounts next, in the middle. One side contains a free-floating bushing that is used to size the decorative band. The other side functions as the bushing for the top of the lower pen barrel. Now mount the lower prepared blank on the mandrel. The third bushing is for the pen tip and mounts last. Parts can vary in size slightly from kit to kit. Before you mount the blanks, check the bushings and components with a calliper to ensure a proper fit. 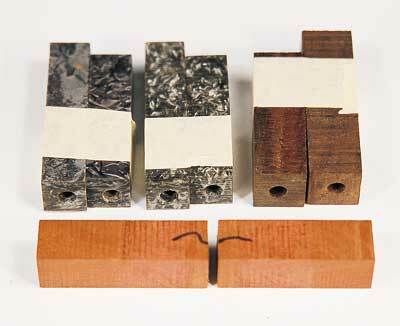 The bushings and blanks are secured to the mandrel with a nut, or knurled nut. If your mandrel has a nut that you must use a wrench to tighten, be careful to only apply enough torque to lightly secure the blanks. Excessive torque on the mandrel nut will cause the mandrel to bow and your parts will not fit correctly. The same holds true for mandrels that feature a knurled nut that is tightened by hand. Very little torque is needed to secure the blanks on the mandrel. When the blanks are mounted, bring up the tailstock to within 2-3mm (3/32-1/8in) of the end of the mandrel and lock the tailstock. 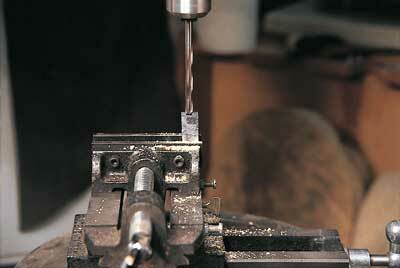 Drill a dimple in the mandrel end, to allow the point of the tailstock to seat accurately. Start the lathe and gently advance the tailstock ram, until it contacts the end of the mandrel and begins spinning the revolving centre. If the tip of your revolving centre is damaged, don't use it for turning pens. Either replace the point or use a dedicated revolving centre for pens. Using a revolving centre with a damaged point may cause the end of the mandrel not to run true. We are now ready to begin turning the body of the pen. This is normally made from cast iron or fabricated in steel and houses the lathe's spindle and one set of pulleys. (The corresponding set of pulleys it attached to the motor's spindle, which in some models can also be incorporated within the headstock) The spindle is supported by two or more bearings at the front and back of the headstock. Some lathes have their headstock fixed rigidly to the bed; others are designed to swivel and/or move along the bed. Rigidly fixed headstocks have their spindles in line with the bed and the diameter of work they are capable of holding is limited by the height of the spindle above the bed. Lathes whose headstock swivel are not limited in this way. "Before you mount the blanks, check the bushings and components with a calliper to ensure a proper fit"
- Sharpening: micro turning tools have very little mass and will grind away very quickly, even on slow-speed grinders. To combat this, turn the grinder on and let it come up to full speed.